One of the ways that CREATE helps to create a better life for children and young people in care is by informing the community and governments about the views of children and young people on their care experiences. CREATE’s reports, as documented below, evolve from major research projects and provide a picture of how well the child protection system is functioning in the care, protection and wellbeing of children and young people in out-of-home care. 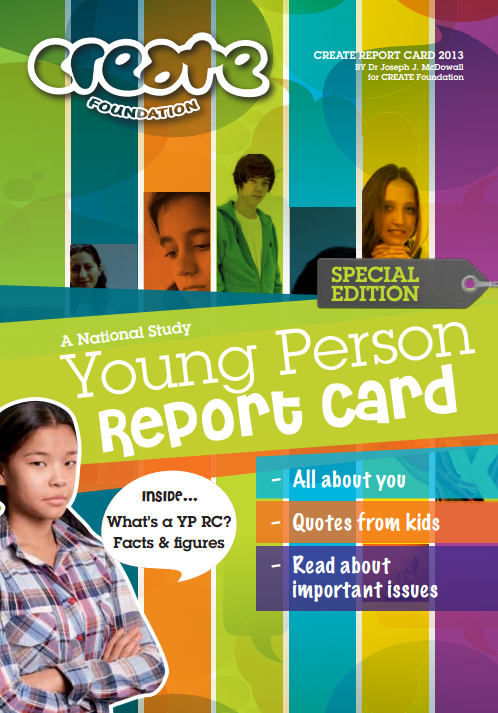 CREATE Report Cards from 2006 – 2013 highlight the issues faced by young people related to health, education and transitioning from care and contribute to developing a benchmark for reporting on how the child protection system is faring under each of the life domains identified under the Looking After Children Framework and those articulated by the Australian Government in the National Standards for Out-of-Home-Care. 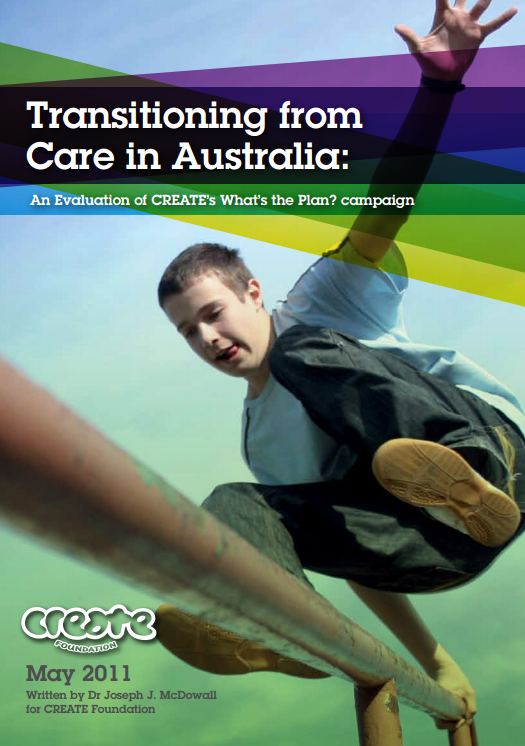 CREATE spoke to young people across Australia with a care experience about their journey through the youth justice system. This report provides a snapshot of the main findings and recommendations. Young people with a care experience are overrepresented in the youth justice system. To understand the issues affecting young people in both child protection and youth justice systems CREATE interviewed young people throughout Australia. While offenders and young people who went missing felt disrespected, anxious and afraid during their time interacting with youth justice, victims felt let down and powerless. 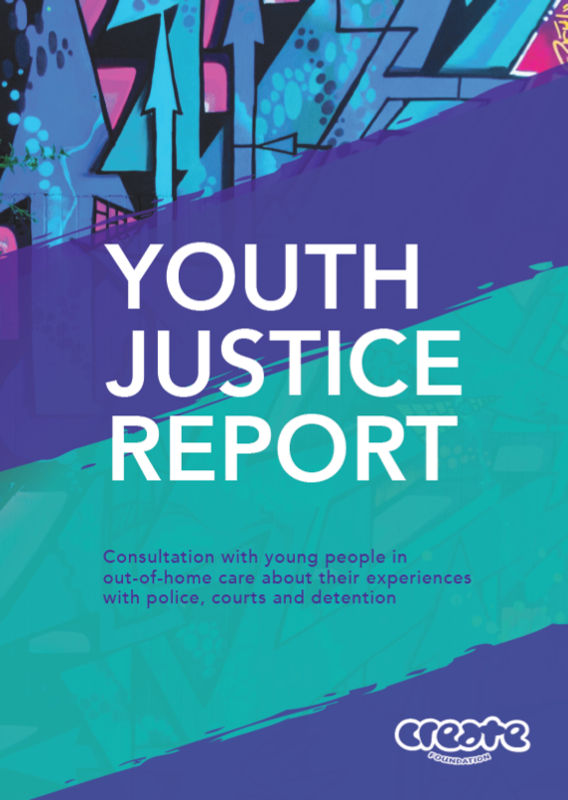 Additionally, young people felt unsupported during their time in the justice system and perceived the police and courts to discriminate against young people in out-of-home care. 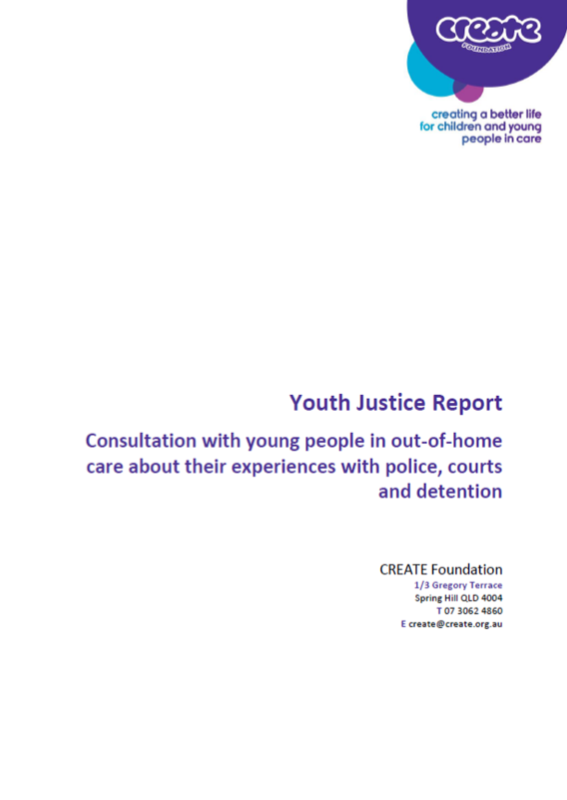 The report highlights the need for a trauma informed youth justice system, better clarity around how caseworkers and carers should support young people who enter both systems, and strategies to reduce the stigma associated with being in out-of-home care. The challenges for young people with a care experience who transition to adulthood often mar the excitement and joy of reaching the age of independence. The lack of transition planning greatly hinders a young person’s journey to Independence from the care system, and many young people experience homelessness, unemployment, and educational disruption. This report highlights the progress we have made towards improving the transition process for young people and the need for safety, and the best interests of the young person, taking priority over the need for privacy. 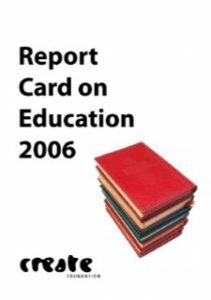 This Young Person’s Report has been especially prepared to provide all the information as the original evaluation but in a succinct, easy to read format with cool graphics. 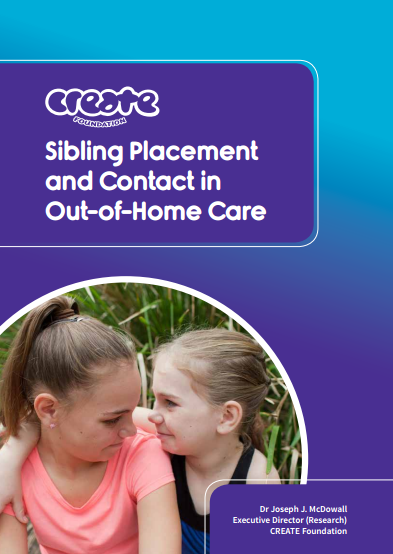 This research shows that many children and young people do not live with all of their siblings in out-of-home care, and contact with the siblings who are not living together is not always regular or easily accessed. 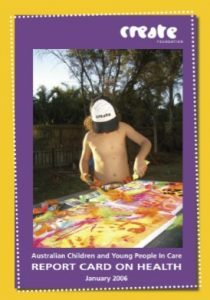 This report sheds light on the experiences of children young people and caseworkers in each state and territory and what they think about this important issue. 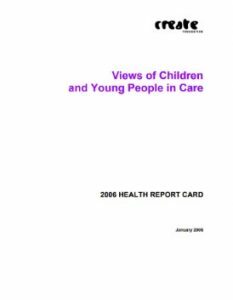 This report provides a wealth of data about the viewpoints and experiences of children and young people in out-of-home care. The study shows how important it is for children and young people to have a say. It highlights the need for care systems to focus on the things that matter, including the caseworker relationship, quality placements, connections with community, education, health, sport and recreation, relationships with family and siblings, and to plan with young people about their hoped-for futures. Children and young people in care are the experts when it comes to telling us how the care system is working. CREATE surveyed over 1000 children and young people across all states and territories (except WA). The Report Card is based on the voices of these children and young people and their thoughts and feelings about important issues such as stability and security, participation, case planning and relationships. To support young people in understanding the process of obtaining a Leaving Care Plan, CREATE launched an awareness campaign called “What’s The Plan?” nationally. It is clear from the results of this Report Card that sadly there is still a lot of work to be done in order to ensure all young people have a leaving care plan, and a more secure future. 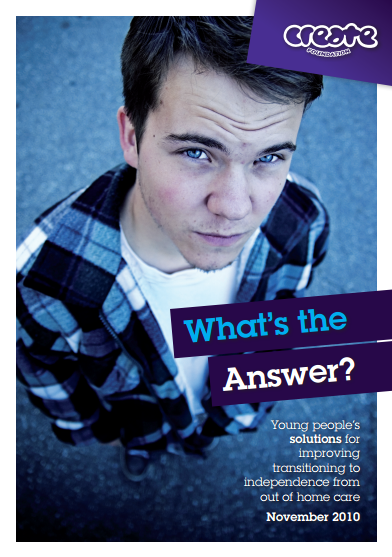 This report, What’s the Answer?, presents the solutions that the young people consulted in this activity consider pivotal for effecting improvements in the process of transitioning from out-of-home care to independence if better social and economic outcomes for care leavers are to be achieved. 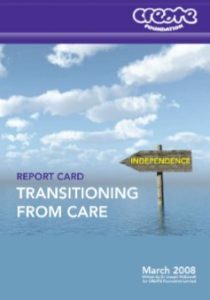 This report was produced as a follow up study to explore transitioning from out-of-home care. This report represents a much larger study than its precursor and its timing was designed to detect recent changes that had been implemented to improve outcomes for young people. 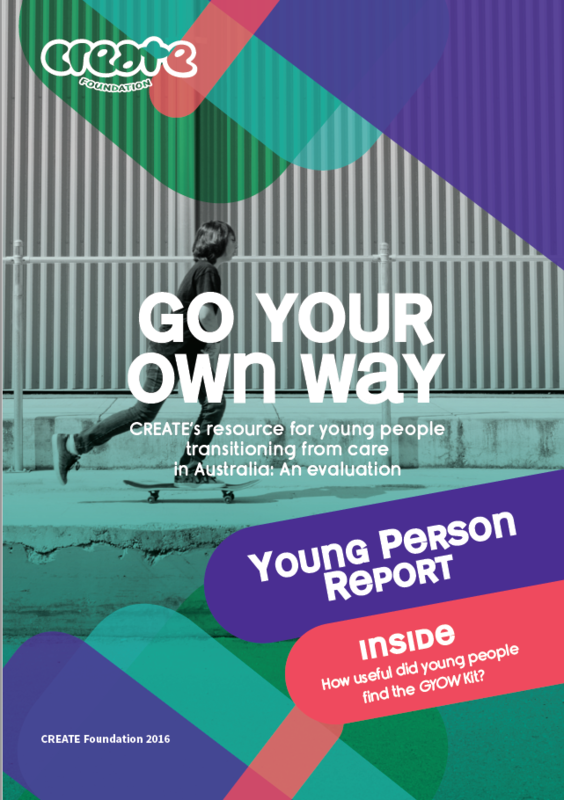 This report provides an overview of legislation, policies and practices across each state and territory, in regards to supporting young people transitioning from out-of-home care. While regulations in most cases are explicit, this is not being translated into practice which assists young care leavers, with substantial numbers of young people surveyed lacking a leaving care plan, experiencing homelessness while transitioning from care, and struggling to complete high school. This report summarises how the health needs of children and young people in out-of-home care are being met. 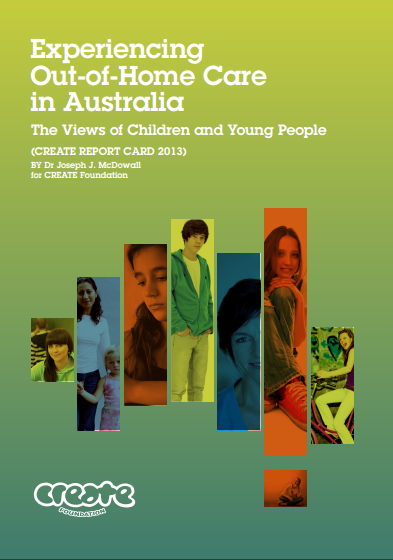 As well as an overview of policy goals and objectives within each state and territory, this report contains children and young people’s views regarding what support they receive in realising positive health outcomes, their level of usage of different health services, and the issues most affecting their health and well-being. 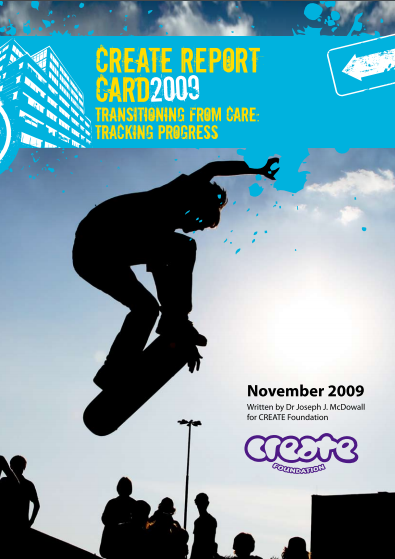 This report summarises the views of young people with a care experience as contained in the CREATE Report Card on Health. 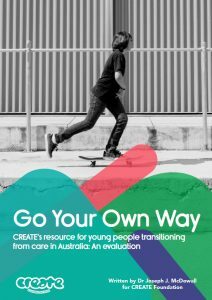 CREATE’s Report Card on Education describes the educational experiences of children and young people in out-of-home care, as well as providing recommendations for supporting young people to achieve better educational outcomes.